How much muck can a Mud Chucker chuck? As much as you can dish out and more! 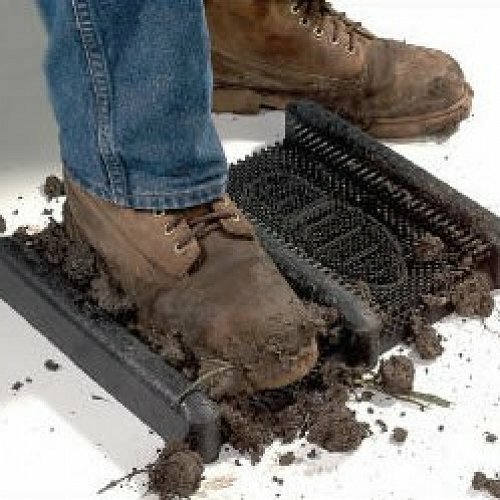 Our Mud Chuckers are incredibly effective due to the pliable rubber finger-tips that effectively scrape mud, dirt, grass clippings or any other muck off the sides and bottoms of boots or shoes. Some products on the market have the Coir surface which eventually wears down. 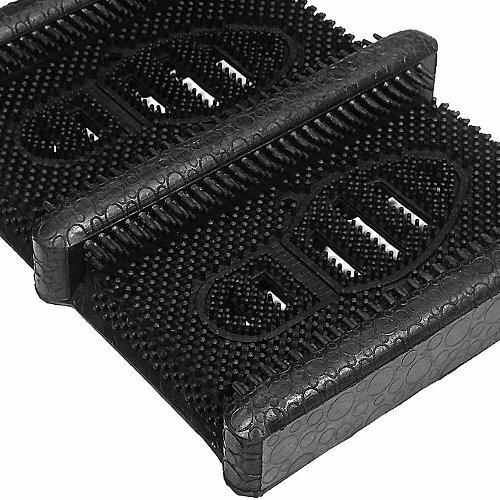 Our Mud Chuckers are 100% Natural Rubber that will last longer. It can be used with an entrance mat in really challenging areas, or as a stand-alone product in tight spaces. 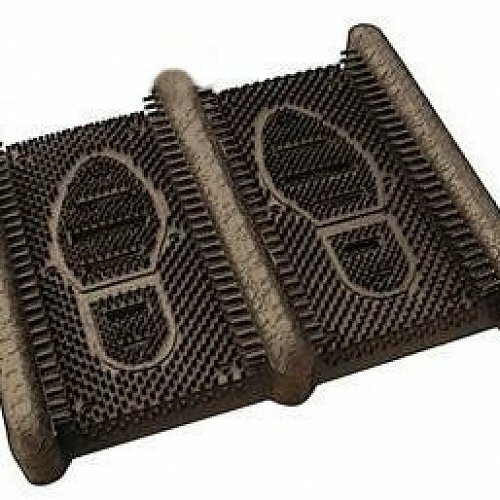 Bolt down in permanent applications, or use as a mobile entrance mat for workers who toil in muddy areas and then travel to the next location. To clean, simply shake the dirt off or spray off with a hose.